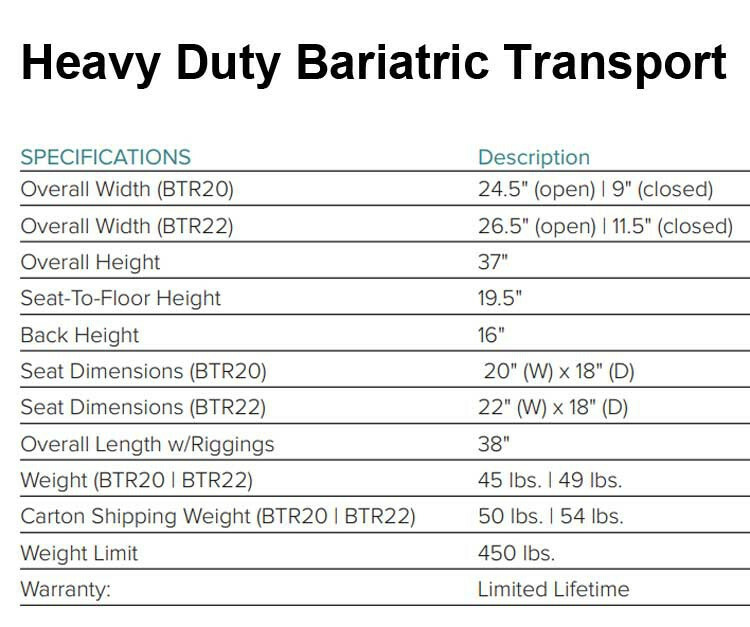 Using high quality steel, Drive Medical was produced the TR20 Bariatric Steel Transport Chair. 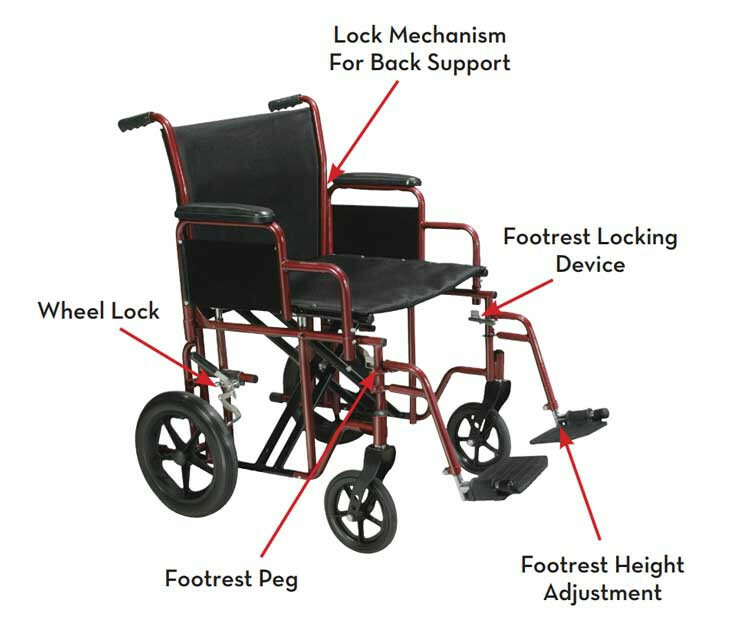 Dual, reinforced steel cross braces attach to a reinforced steel frame to provide support for patients up to 450 lbs. In addition to the high strength of the frame, a heavy-duty nylon reinforced material is used to upholster the seat, back, and arms. The material provides comfort to the patient sitting in the 20" wide seating area. 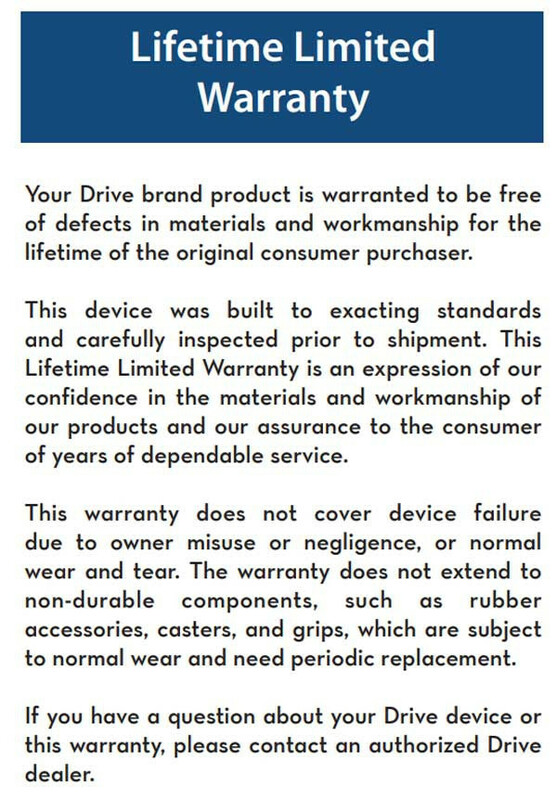 Plus, a heavy black carry pouch is provided of the same material. 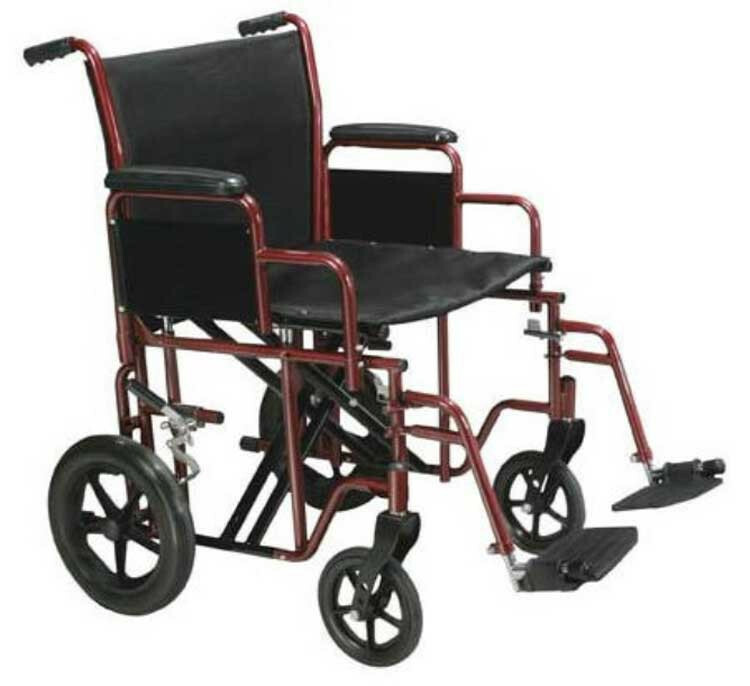 The chair rolls on 12" flat free rear wheels and two high strength fron caster wheels. 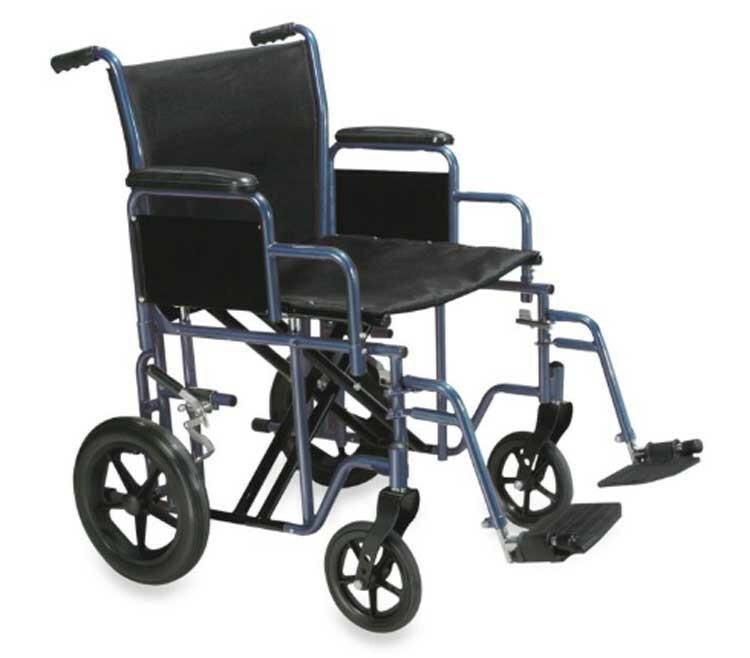 This evenly disburses the weight and allows the chair to be easily manuevered over common obstacles in the home or insitution. For maximum versatility and portability, the desk length arms are removable and reversible, while the entire chair can be folding down to 9" in width. 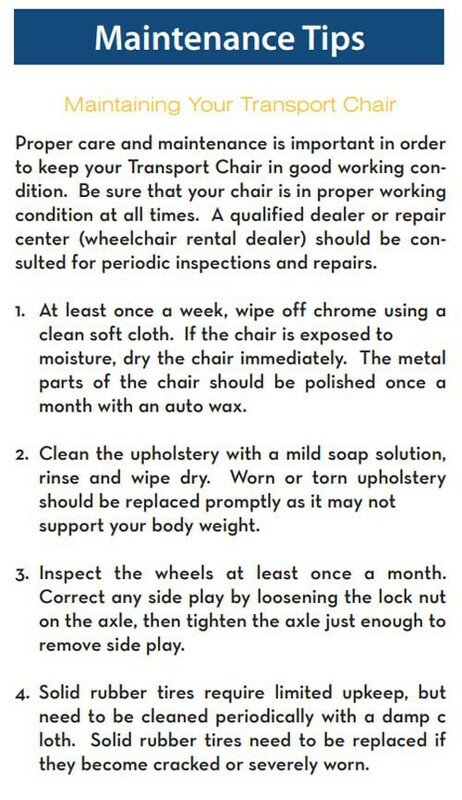 This makes the chair ideal for transport. 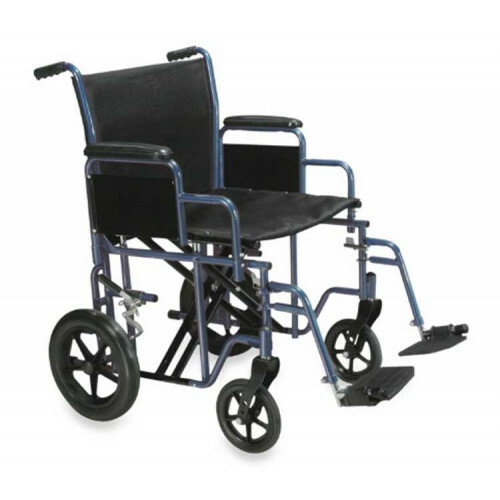 The leg support is also adjustable to make any patient feel more at ease and comfortable with their chair. Patients have the choice of color for their TR20 chair. 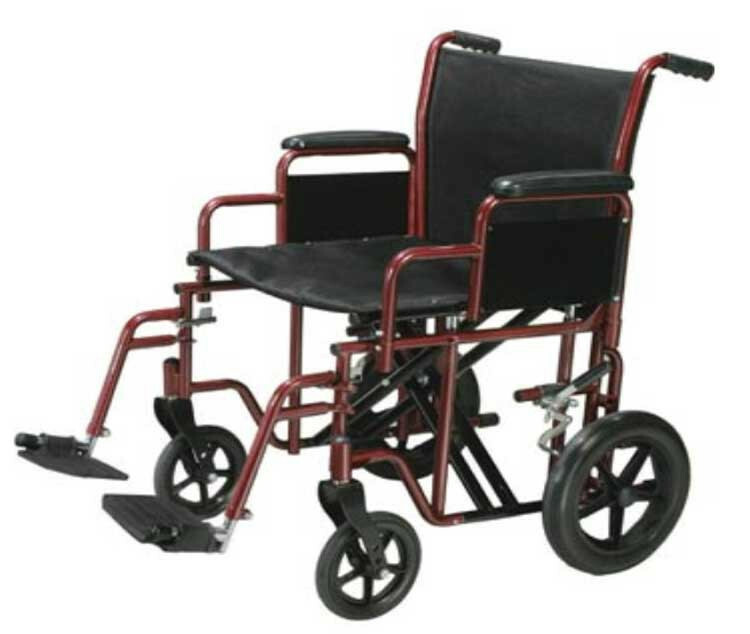 It is available in three beautiful solid colors: Blue, Red, and Chrome.